very interesting statistic; don’t know how meaningful in terms of any long range attitude change. 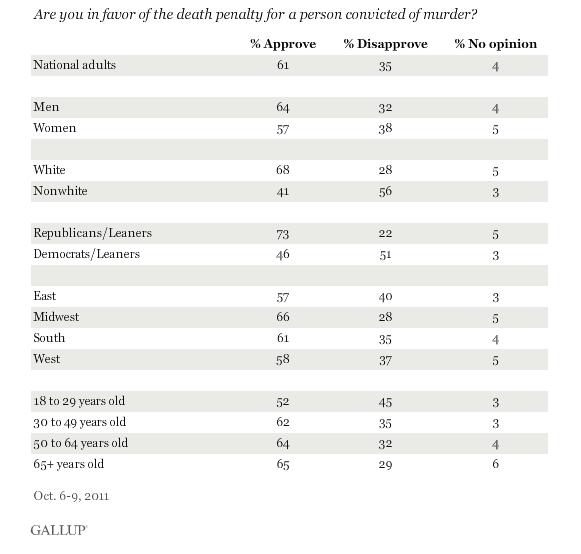 Interesting that the two coasts are least supportive of dp, and midwest more supportive than south. 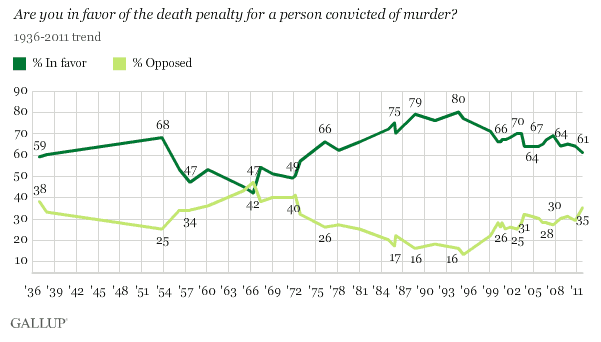 I would expect that urban areas would be less supportive of the death penalty, but I did not know that the percentage of people supporting it was so high. I think lots of people in countries overseas might be shocked.